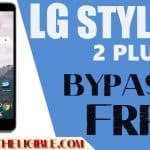 We know, you might have tried multiple frp bypass methods to Bypass Google FRP LG Aristo 2, and in most of LG devices, we were facing trouble to bring full settings, but now you can easily get full settings by following our new frp bypass methods for LG devices, and add your new gmail account easily to Bypass FRP LG Aristo, but make sure you are following all steps very carefully as those are described. Note: This method is specially for LG Aristo X210MA (T-Mobile, Cricket, MetroPCS). -Connect Wi-Fi to your device. -Go back to very first welcome screen. -Go to > Accessibility > Settings > Vision. -Now turn on “Talkback” from there. -Once the “Talkback” is turned on, you will surely get “Talkback Tutorial” screen. -Draw “L” on your screen with your finger to bring “Global Context Menu”. -Long press both (Volume UP + Volume Down) keys until you see a popup of “Suspend Talkback”. -After that, double tap on “OK” to successfully suspend talkback feature. -Now from “Talkback Settings”, go down and then tap on “help & feedback”. -Afterward, tap on “Get Started with voice access”, and then you will have youtube video on your screen. -Tap on youtube video “Play icon” to run video, after that you will get some extra option on your youtube video player. -Just tap on “Clock icon” from the YouTube video to access Youtube official website. 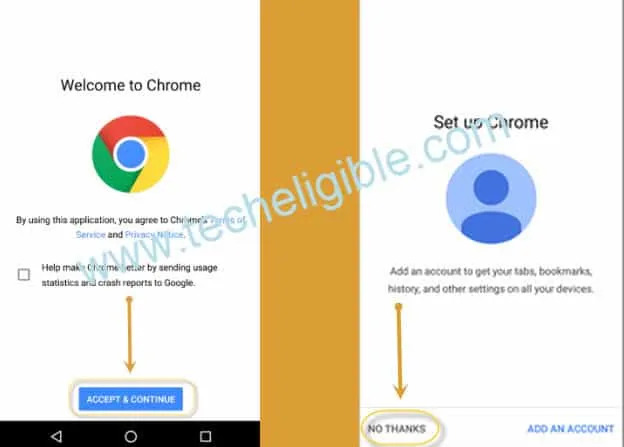 -You may get “Welcome To Chrome” screen, just tap on “Accept & Continue”, and then “No Thanks”. -Now you will be able to see “Google Search Bar” right top of the LG device screen. 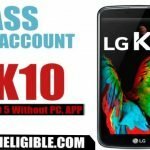 -Download LG FRP Tools from below to bypass google account. 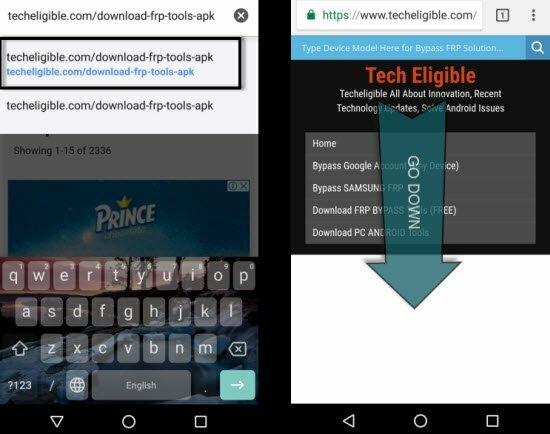 -Type in google search bar “techeligible.com/download-frp-tools-apk” (See Below Image). -Now download from there below frp bypass apk app. -Tap on “3 dots” from top right corner of your chrome browser, and then select “Downloads” to go to download folder (See Below Image). -Now install “Quick Shortcut Maker” from there. -Open with “Package Installer” if you see this option. 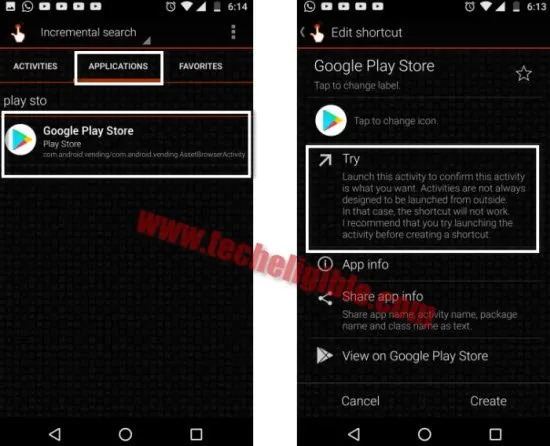 -After that, you will get a security popup on your screen, just tap on “Settings” from that popup to Bypass Google FRP LG Aristo 2. -Now you will have only two options in your settings, one is “Wi-Fi” and 2nd is “Thethring”. Note: If you are seeing there complete settings, so don’t follow below steps, just skip full settings steps and continue from ahead. -If you are getting incomplete settings, so we need to enable “Talkback” here again, follow below steps. -Press both (Volume UP + Down) keys together for few seconds, and then release. 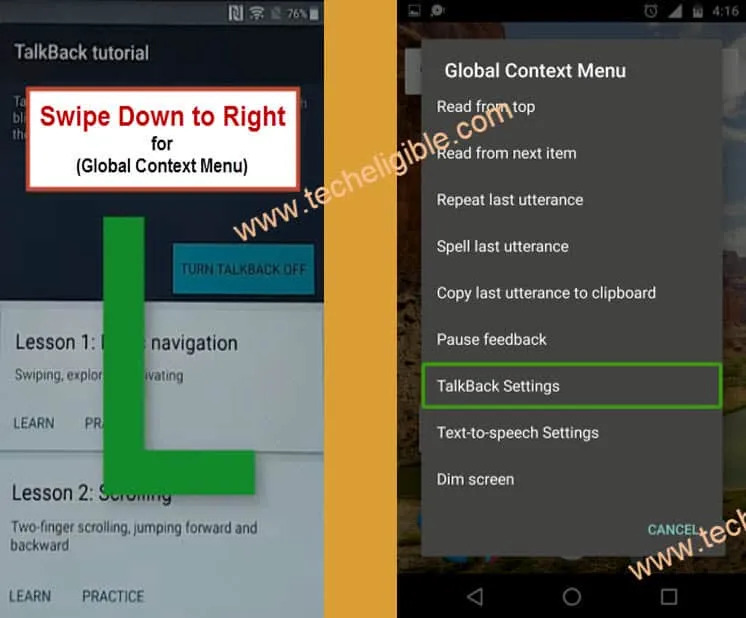 -Once talkback enabled successfully, now draw “L” on your screen to bring “Global Context Menu”. -After that, press and hold “Power Key” to restart your device, and then select option of “Power Off & Restart”. -After device restart finish, you will have “Talkback Tutorial” screen on your device because your talkback is enabled. -Now draw “L” to bring global context menu. -Double tap on “Text-to-Speech Settings”. -Now turn off talkback by pressing both (Volume UP + Down) keys together. -Once you successfully turned off talkback, now we can easily access to complete settings to Bypass Google FRP LG Aristo 2 X210MA. -Now bring “Top Bar’ options by sliding from top to down. Note: You may have to try this several times, and you will surely be able to bring top bar menu ( See Below Image). -Once you get “Top Bar Menu”, just tap on “Settings Gear icon” from top right corner. -Congrats, now you have accessed to complete Settings of LG Aristo device. -Tap on “3 dots” from top right corner & select “List View”. -Go down, and tap on “Security”. -Afterwards, enable “Unknown Sources” from there. -Now tap on “Phone Administrator”, and then deactivate phone administrator from there. Note: Try to deactivate “Phone Administrators” multiple times, because sometimes phone administrator does not deactivate at first, otherwise we may face trouble in Bypass Google FRP LG Aristo 2. -Now go back to “Settings”, and then tap on “APPS”, after that tap on “3 dots” from top right corner and select “Show Systems”. -Now find “Google Play Services”. -Tap on “Google Play Services”, and then tap on “Disable”. Note: In below image, we showed to force stop, but you have to “Disable” Google Play Services instead of force stop only. -Search “Google Account Manager” from app list, and then tap on that. -After that tap on “Disable”, and then tap on “Force STOP”. -Perfect, now we have successfully disabled two apps from app list, once is “Google Acc Manager”, and 2nd is “Google Play Services”. -Tap on “Storage”, and then tap on “Explore” from there. -After that tap on “Download” folder to see your downloaded frp bypass tools. -Install “Quick Shortcut Maker”, once the installation finish, tap on “OPEN”. -Tap on “APPLICATION” from top bar menu in quick shortcut maker, and then type “Google Play Store” there. Note: Make sure you are tapping on “APPLICATIONS” first, because if you wont go to that option, then on tapping on “TRY” you will have only flash screen. -Select “Google Play Store” from search result, and then tap on “TRY”. (See Below image). Key Point: If even then you see only “Flashing window”, then tap on “Activities” from top bar, and then type there “Google Play Store”, after that tap on that to collapse it, after that you will see there list of “Google Play Stores”, try each and every google play store from there, i hope one of them won’t flash to your and will lead you to the “Add Google Account” Screen. -It will redirect you to the “Add Account” screen. -Add your any valid Gmail Account to Bypass Google FRP LG Aristo 2. 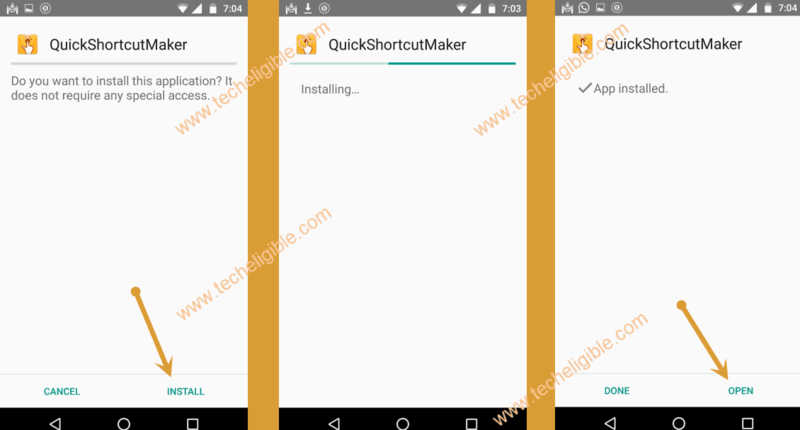 -Go back to “Quick Shortcut Maker app” by pressing back key from your device. -After that, go to “Applications”, and then type there “Settings”. -Tap on “Settings” from result, and then tap on “TRY’. -Once you access to “Settings”, after that tap on “APPS”. -Now tap on “3 Dots” from top right corner, and then select “Show Systems”. -Now there will be option of “ALL APPS”, just tap on that and then select “Disabled”. 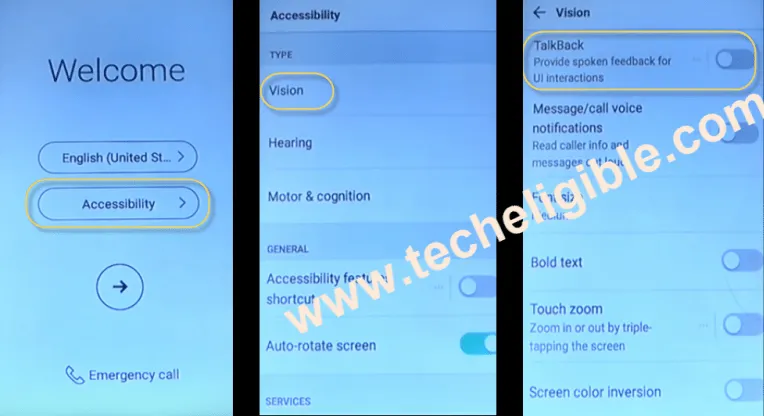 -You will be able to see there you all disabled apps. -Enable “Google Account Manager”, and “Google Play Services” apps from there. -After that, soft reset your device by going to your device “Settings”, and then “Backup & Reset”. 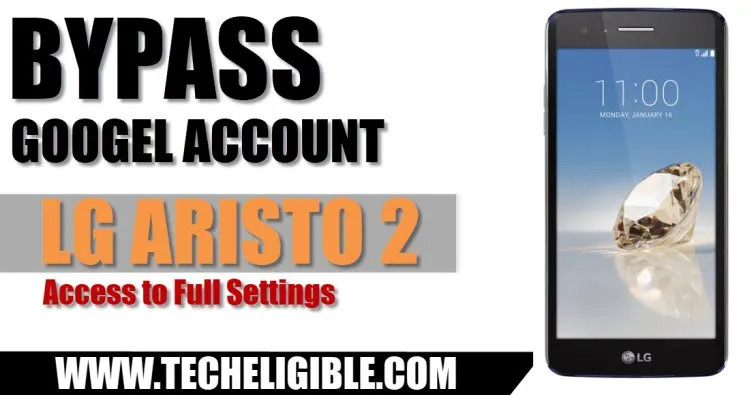 -Congrats on successfully Bypass Google FRP LG Aristo 2. Tried your method to get to full settings but it doesnt work for me. I’m having the same problem. I can’t get all of the options to show up. What if neither activities nor application works without flashing and then closing the screen? at which step you are stuck? I’m also having the same problem using the quick shortcut maker and I can’t get pass pressing the “try” button. It too just flashes real quick then goes back to the screen. Can you please help? Get to the Try Google Play Store activity in the Quick Shortcut Maker application but it does not redirect me. I get a white screen that pulls up but immediately closes leaving me in the same scree for Quick Shortcut. 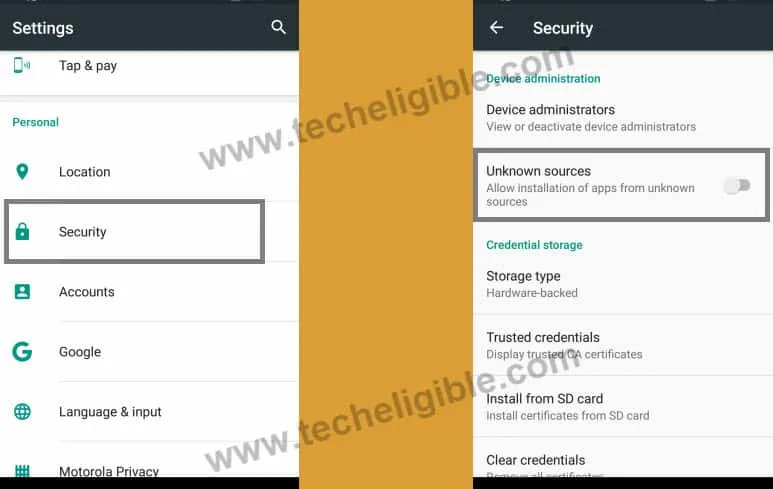 Do I need to enable google play services or account manager before this is available? It doesn’t work like you say. It flashes real quick with a white screen,then disappears. I AM typing “google play store” in APPLICATIONS. The second option. I read it the multiple times when everyone is saying to do that particular step. It is only flashing for me.